Can a Positive Attitude Improve Road Safety? We are looking at the benefits of a positive attitude and if it can have an impact behind the wheel and ultimately on road safety. It’s the start of Driving Instructor Positivity Week so let’s start by looking at the benefits of a positive attitude. We all know how contagious a smile can be. Well, positive people are more attractive too. Like a magnet, you are more drawn to be with, talk to and recommend positive people. Remember that one when you’re next in a lesson – kindness builds reputation. And there’s a reason I mention this benefit to positivity on the roads because it all starts with you, the instructor. I’ll talk through some of the possible benefits to road safety and you will see how you can start a chain reaction of positivity on our roads by teaching with a smile and a positive outlook. Under pressure Researchers suggest that a person with a positive attitude is more likely to make a better decision under pressure. Driving, especially for the first time, can be stressful. A positive person is generally more resilient when faced with stressful or challenging situations. You can imagine how powerful a tool positivity can be when a learner is struggling with a manoeuvre or junction. Think outside the box When you allow negative thoughts to come into your mind it will trigger a natural survival instinct. It will make your mind concentrate on the problem alone and narrow your view. On the opposite end of the scale, positivity can broaden your sense of possibilities and open your mind. This attribute of a positive attitude is perfect for hazard perception. On the road, your mind needs to be focused and on the lookout for potential hazards. 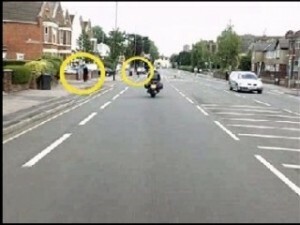 If a learner was to see a dog running into the road and only concentrated on this whilst swerving to the left they might miss the cyclists coming up the inside lane. I can do it There is a saying that suggests that if you think positive then positive things will come your way. The power of positive thinking is real – but why? If a learner tells themselves that they can drive and they will pass their test then it will boost their self-esteem. Having a stronger self-esteem can encourage your body to relax. This doesn’t mean the learner will be blasé in the lessons or tests, it just means they won’t be as rigid or shaking with nerves as a negative person would be. Positive new drivers = less road collisions? So, looking over all the benefits of positivity in your driving lessons above, can you see how positivity might create a new wave of drivers that are better equipped at judging different scenarios on the road? They will be able to react better to hazards and adapt their driving accordingly. Positive people are happier so perhaps we would have less of the bad driving habits we mentioned on Thursday. What techniques do you use? Great post, and blog too! I completely agree a better attitude to road safety means all round better road safety!